Why choose to be an actor? Or pursue any form of creative expression? 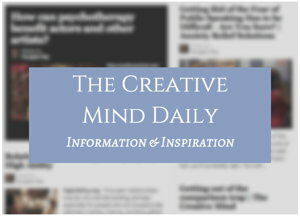 The answers help define our identity as a creative person, and fuel our motivation. 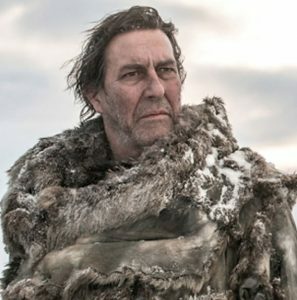 Actor Ciarán Hinds relates an amusing story that brings up ideas of identity and ego for creative people. Hinds notes “He said, ‘Do you know what we call you guys? Talking props.’ That made me laugh so much. “Bring on the talking props. That’s what we are. From post: Ciarán Hinds on egos and acting. 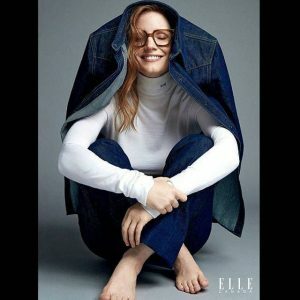 From feature interview with Jessica Chastain in Porter magazine, Summer 2016 – from page scans on jessica-chastain.com. “I have always known I wanted to be an actress, but my New York experience made me realize that my desire had nothing to do with becoming famous or making money, I was interested in exploring the human soul, its complexity. “I wanted to work to understand something about life and myself. “When I first moved to LA, it was very difficult. All the casting directors didn’t know what to do with me, with the way I looked. ‘But before she was everywhere, she says, she was nowhere. “I would be attached to these beautiful projects, with Al Pacino or Terrence Malick and Brad Pitt, or Helen Mirren and for some reason … the companies would just keep getting sold,” she recalls. ‘In what appears to be a Chastain characteristic, however, the glass was always half-full. “I took advantage of the delays and kept working. The great thing is it created a blank slate,” she says. ‘Chastain started her arc toward the other side by earning a scholarship at Juilliard, and banging around in such TV shows as “Law & Order: Trial by Jury” and “Veronica Mars” for a few years until all of that hard feature work just took off. ‘And now she’s having to deal with some of the biggest challenges of her career, including figuring out how to swing into the mainstream of success, keeping her open heart and earnest eagerness intact. ‘Already she laments feeling treated differently once she’s revealed as a movie actress. At a recent dinner party, a lively conversation quieted once she told the strangers she was talking to what she did for a living. “Immediately, I could see their eyes change,” she says. ‘Working next to Pitt showed her what being separate is like: “There were paparazzi trying to get pictures of him, and when the film came out, do you know how many people were asking me what he was like as a parent? That’s none of my business!” she says. ‘Her openness and sincerity, qualities that she telegraphs so clearly in her performances, are precious commodities and, at this stage, Chastain keeps them on her sleeve. “It’s almost hard to imagine that one day she’ll have to draw them in a little deeper and keep the things that allow her to play an idealized mother, or the embodiment of grace, out of sight for her own protection. She already says she’ll stop doing interviews when the questions become about her, rather than the work. ‘Many would disagree, even if the sentiment makes sense. For now, Chastain’s hat trick of performances threatens to undermine the career she’s worked so hard to build up. ‘No matter how award season wraps up, she’s going to have to fight hard to prevent her “it” status from flipping into celebrity of blockbuster proportions. “Right after ‘Tree of Life’ came out, I started hearing about strategies for my career,” she says. “And I made a decision that I wasn’t going to do anything based on a strategy. “If I don’t continue to challenge myself and risk failure, I have no business being an actor. From Jessica Chastain wants to be an actress, not a celebrity, By Randee Dawn, Special to the Los Angeles Times December 15, 2011. Chastain is rightfully wary of fame. See post: Actor’s Privacy and The Dark Side of Fame.